Don Panoz was a genius, and a mad man, a man who started the phrase “hold my beer.” Since the 60's it was obviously known that a proper racecar’s engine was behind the driver, and for a clockwise track like Le Mans, sitting on the right was better. Don Panoz wanted it to still be set up to look like his standard Esperante (though they never share anything) , so he hooked up with Reynard to build them (Reynard would also go on to build the chassis for the Cadillac Northstar LMP.). Engine in the rear? Eff that, throw a big honking Ford based engine in the front. Right hand drive? Nope, this has got to look like it’ll drive in America. These quickly gained the nickname the batmobile, and when painted black, you’d swear Micheal Keaton should have drove it. Starting in 1997, these had some minor success, but obviously were outmatched by the the likes of Porsche, McLaren, and Mercedes. Though they would be phased out in favor of the LMP1-R Roadster (fun fact, in 1999, the LMP-1R was the first front engine open top prototype to race at Le Mans since 1965.) 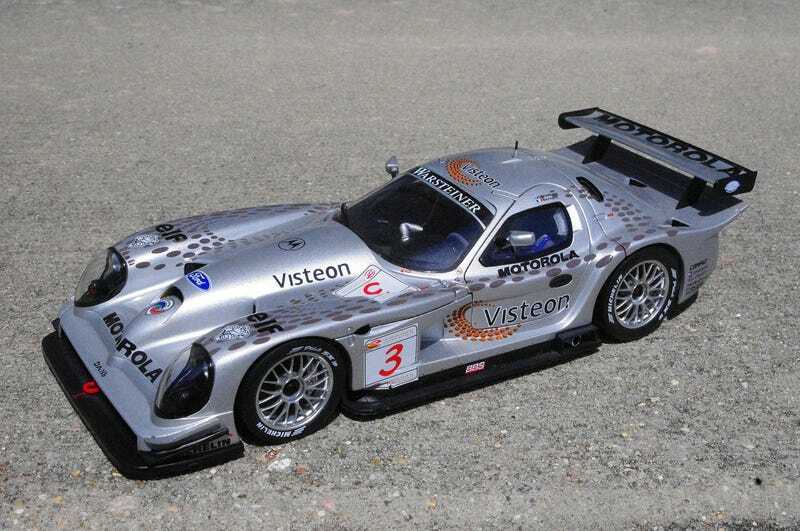 The GTR-1 actually raced until 2004!